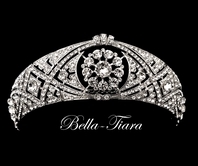 Description: This stunning antique silver plated tiara with encrusted round and baguette clear cut rhinestones offers a radiance of sparkle! 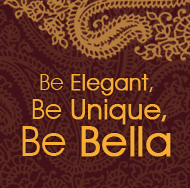 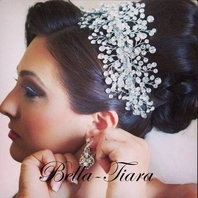 Featuring an intricate design that will be sure to make you feel like a princess on your wedding day! 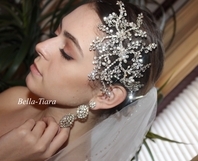 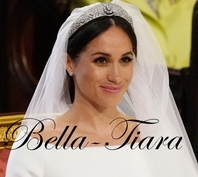 This headpiece is embellished the entire length of band giving a fabulous touch to your wedding updo!